If you’re a fan of picking bottoms, then this setup might be for you! 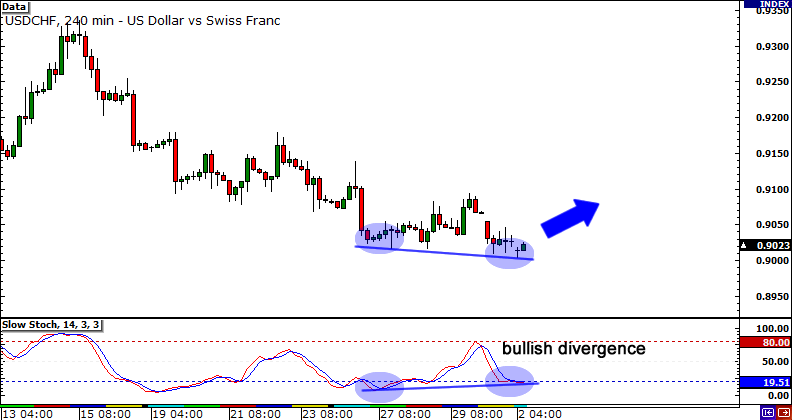 USD/CHF has been slowly crawling down the charts over the past month, but that could come to an end soon, as some bullish divergence seems to be forming. A doji candlestick has also formed, indicating to us that sellers might be running out of steam. I’d wait for some green marubozu candles as a sign that the bulls are about to set the roof on fire! Yo Happy Pip! You know Big Pippin’s got yo back so here’s a sweet setup on the Kiwi! Looks like that .8250 to .8270 mark has been as solid as a Jay-Z single, as price has bounced off the area a few times now. I’d probably wait for another test of the support-turned-resistance zone before loading up on short positions! Lastly, here’s my take on GBP/JPY! 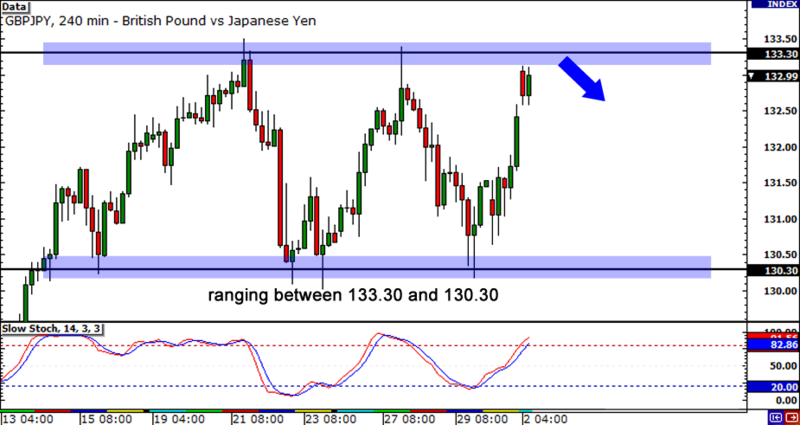 After it looked like it was forming a potential double top last week, the pair bounced off support at 130.30 and made its way back to the recent highs around 133.30. It seems to me that the pair is now beginning to range. 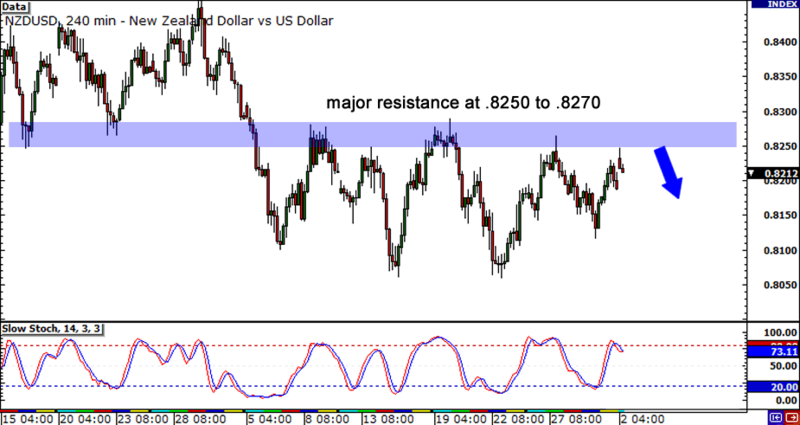 Let’s see how price reacts once it reaches the top resistance area and when Stochastic crosses over out of overbought territory!